Who We Are - McNulty Design Group, Inc.
David McNulty created Kitchen & Bath Creations now known as McNulty Design Group, Inc. in 1993 with one simple dream…to create eye popping spaces that function effectively for every individual person whose lifestyle and physical abilities dictate their environment and brings joy to daily living. McNulty has designed and produced thousands of kitchens, bathrooms, and other rooms for nearly 23 years. He owns and operates the business from his first luxury showroom in Park Ridge, IL. 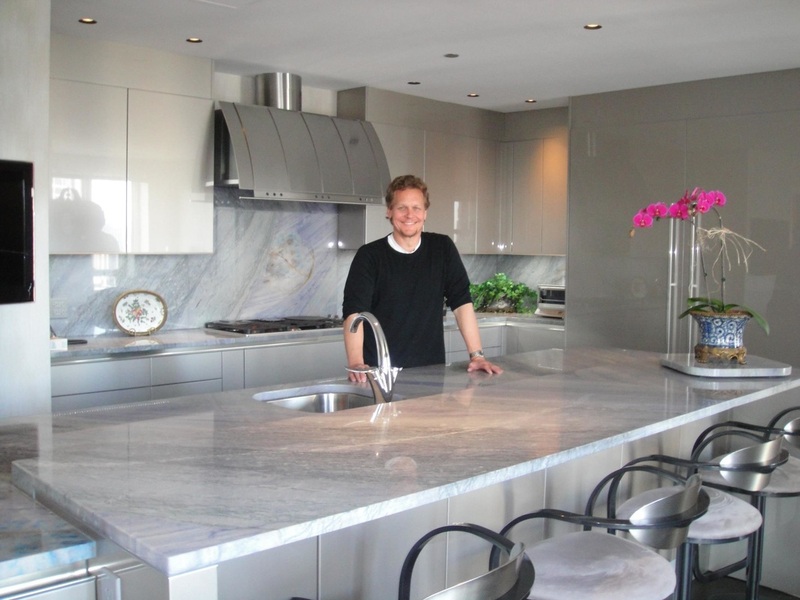 In addition to creating award winning kitchens and baths, he designs and builds bedrooms, closets, home offices, libraries, and basements, dining room, living rooms, and media centers. As an advocate of sustainable design and renovation practices, McNulty showcased some of his talent in the Museum of Science and Industry's exhibit "Smart Home: Green + Wired". McNulty accepted the honor and challenge from the Museum's Director of Special Exhibitions, Anne Rashford, to provide FSC certified lumber, virtually formaldehyde free casework, and VOC free finishes for their kitchen cabinetry, bath cabinetry, and millwork for the exhibit located on the Museum’s grounds. You will also find McNulty's many accomplished projects on HGTV's "New Spaces", and in national publications including Luxe, House Beautiful, Woman’s Day, Good Housekeeping, and Better Homes & Gardens, Signature Kitchens and Baths, and Kitchens by Professional Designers to name a few. McNulty has several public appearances and discussions on Comcast's "Contempo Talk", syndicated radio talk show "Home Improvement USA", and In addition to running the business, McNulty has contributed his products and services through select charities and devotes time to the public giving educational seminars on kitchen and bath design and home renovation. ...have a minimum of 7 years experience designing residential kitchen spaces. They are highly skilled in design, space planning and product selection and have extensive knowledge of building codes, flooring materials, appliances, and mechanical systems. They write specifications and draw plans that are easily interpreted by plumbers, electricians, and installers. A CKD must meet specific educational requirements and pass a comprehensive academic and practical exam. One of the primary reasons a homeowner turns to a certified kitchen designer (CKD) or certified bath designer (CBD) is to translate your vision—and often your unstated or unrealized needs—into a design that maximizes the functional use of space, desired resources and budget. NKBA designers hear it over and over from their clients: “I never knew that was even an option to consider!” or "We can save money specifying different products to achieve the same look instead?" Have seven years of full-time residential kitchen/bath industry experience, including proven knowledge of kitchen and bath design, as well as construction, mechanical, plumbing and electrical systems. NKBA-certified kitchen designers and -certified bathroom designers will assist you every step of the way, clarifying the planning process and identifying the fun and exciting decisions you’ll be making.